We have purchased the world copyright from Revelation TV the programme they produced with Charlie – My Life & Music. 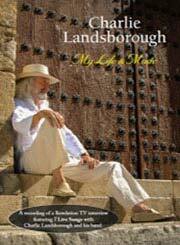 We have released this DVD under the LANA Records company (Charlie's own record label). 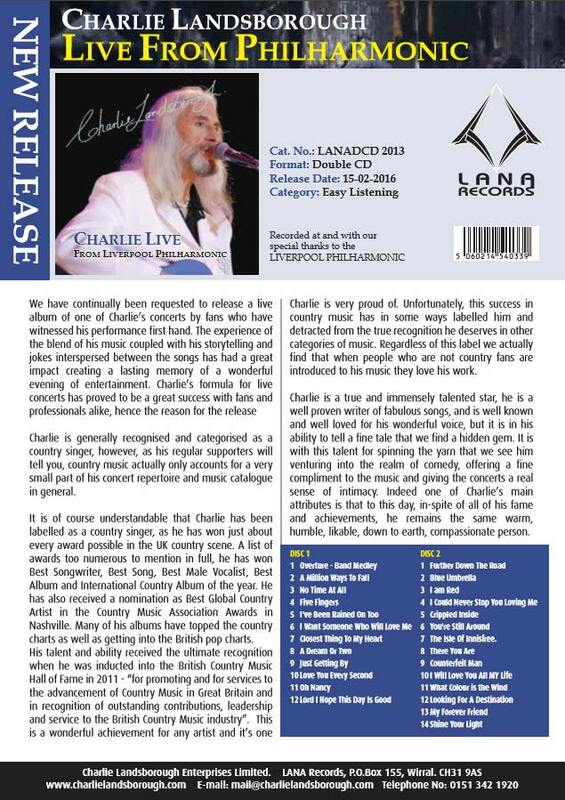 We released it as a DVD to add to Charlie's collection, because we believe it fits in well with his Discography and would appeal to Charlie's Fans. See the Merchandise section for more details. Charlie Joins the British Country Music Hall of Fame! I have known Charlie from the beginning of his career and was one of the first to interview him. I had great pleasure in giving him the award on stage at Salisbury City Hall and inducting him into The British Country Music Hall Of Fame. He is alongside some of the many British Country Music greats who like Charlie have given so much talent to audiences all over the world, showing that Britain can produce top class singers, songwriters, and musicians. Lee Williams - President of The British Country Music Awards & CMR Nashville. Thank you for visiting our website. Here you will find information on upcoming tours, read news articles, can buy albums, sheet music, general merchandise and backing tracks.